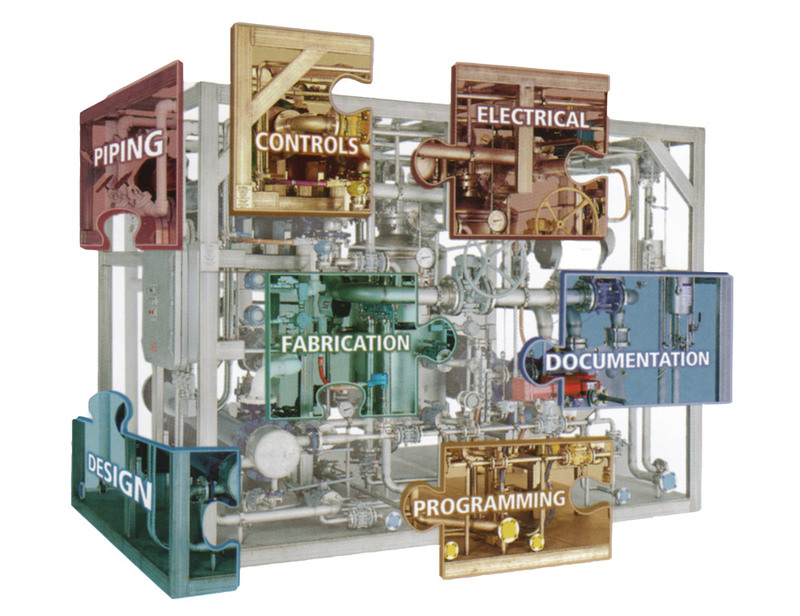 Modular Fluid Systems | ProFlow, Inc. This philosophy has helped to position ProFlow as a leader in the modular fluid systems industry. In a wide range of applications, industry has come to depend on ProFlow to help meet their equipment needs. Starting with initial contact, your project is assigned to one of our project managers who has fully responsibility for the entire project. Where we start in the process is up to you–from the most basic of preliminary designs to fully detailed plans–our team will move your project from concept to reality. Your project then moves to our full service ISO 9001 fabrication area. Our skilled shop has expertise in all the crafts–ASME Certified Welding (including orbital welding as well as U and R stamps for pressure vessel repair and fabrication), electrical, control panel fabrication and instrumentation. PLC and Operator Interface programming–with tie-ins for data acquisition and interfacing with DCS–is completed. Everything we do is completed in-house: we do not use sub-contractors at any step of the process. Once programming is completed, the unit moves to our test facility, where it is fully tested to ensure that the system operates as designed. A complete documentation package–including drawings, parts list, weld maps, installation/operation manuals and test results–is prepared. © 2019 ProFlow, Inc.. All Rights Reserved.